Cloyster in game: 469 Who? Important notice! Pokemon Cloyster is a fictional character of humans. Cloyster (Japanese: パルシェン Parshen) is a dual-type Water/Ice Pokémon introduced in Generation I. It evolves from Shellder when exposed to a Water Stone. Cloyster is a black, pearl-like Pokémon. It is encased inside a light grey shell, which is surrounded by a second jagged, blue-violet outer shell casing. 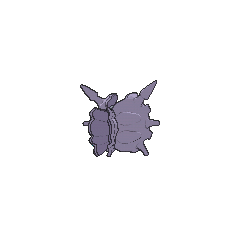 It has one barb-like spike protruding from above its head, and multiple conical horns on its outer shell. Its shell is harder than diamond with spikes that are even harder; harsh tidal currents will affect the size and sharpness of these spikes. On its pearl-like face, it has two white eyes and a mouth. Aside from its face and head, its internal anatomy has never been seen. 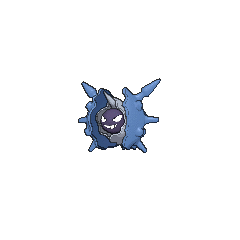 It typically only opens its shell to attack an opponent. However, it is fully capable of retaliating against any enemy with its shell tightly closed. With rapid succession, it launches its spikes at the foe, keeping them repelled. Once it has shut itself in, it is impossible to open its shell from the outside. This impressive defense allows it to withstand anything from a bomb blast to even a missile strike. The same projectile system it uses to launch its spikes is also used for swimming. It swallows seawater, and then ejects it towards the rear propelling it through with siphon-jet propulsion. It lives on the sea floor, nestled among the rocks and coral. 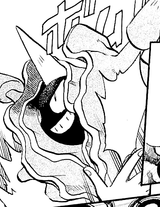 Lorelei used a Cloyster against Ash in The Mandarin Island Miss Match. Cloyster debuted in The Bridge Bike Gang, where Misty battled against one owned by Tyra. Ash battled a Cloyster belonging to Pete Pebbleman during the Indigo Plateau Conference in Fire and Ice. It reappeared in a flashback in Friends to the End. Also, in the latter episode, another Trainer's Cloyster appeared during the closing ceremonies of the Indigo Plateau Conference. Mateo owned a Cloyster in The Crystal Onix. Butch used a Cloyster during his and Cassidy's attempt to capture Moltres in The Search for the Legend. Kyle used a Cloyster in the Performance Stage of the Wallace Cup in Staging a Heroes' Welcome!. A Cloyster appeared in SM012. Jessie tried to catch it, but failed. A Cloyster appeared in The Battling Eevee Brothers. 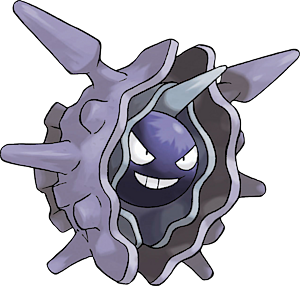 Giovanni's Cloyster first appeared in The Battle of the Badge. A Cloyster appeared in Lights, Camera, Quack-tion, as part of the cast for the movie "Pokémon in Love". A Cloyster appeared in Poké Ball Peril. 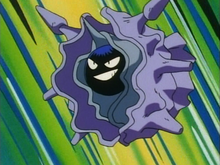 Multiple Cloyster also appeared in The Power of One. A Trainer used a Cloyster in Hook, Line, and Stinker to aid him in the annual Seaking Catching Competition. A Cloyster made a cameo in Pokémon Ranger and the Temple of the Sea. A Cloyster can be seen in To Thine Own Pokémon Be True!. EP036 Cloyster Ash's Pokédex Cloyster, a Bivalve Pokémon. Its shell is incredibly strong and resistant to a bomb. Its shell only opens when it attacks. Giovanni also uses a Cloyster despite it not being the type he specifies in. It was first used in Make Way for Magmar! to freeze two Magmar in solid ice and then killed them by snapping the ice into pieces. It was used again in Golly, Golem! where it froze Red's Poliwrath. Lorelei owns a Cloyster that she uses as one of her main Pokémon alongside her Dewgong which first appeared in Cloystered. 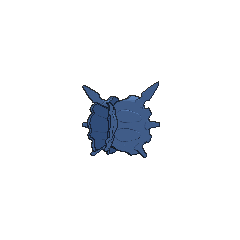 Another Cloyster was one of the Pokémon sent to help the fight in Ilex Forest in The Last Battle XIII. Lorelei owns a Cloyster in which a running gag involved Clefairy getting hurt by it. Lorelei's Cloyster is the first opponent Satoshi faces in the Pokémon League. Pokémon Pinball: A Cloyster appears on the Blue Table. When the pinball can be shot into the Cloyster, Catch'em Mode is activated, allowing for the capture of a Pokémon. When attacked, it launches its horns in quick volleys. Its innards have never been seen. For protection, it uses its harder-than-diamonds shell. It also shoots spikes from the shell. Its shell is so hard, it can even withstand a bomb. No one has ever seen what is inside its shell. Once it slams its shell shut, it is impossible to open, even by those with superior strength. Cloyster that live in seas with harsh tidal currents grow large, sharp spikes on their shells. Even a missile can't break the spikes it uses to stab opponents. They're even harder than its shell. Cloyster is capable of swimming in the sea. It does so by swallowing water, then jetting it out toward the rear. 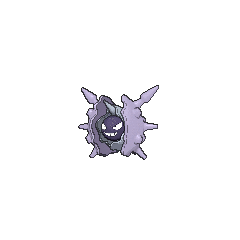 This Pokémon shoots spikes from its shell using the same system. It swims in the sea by swallowing water, then jetting it out toward the rear. 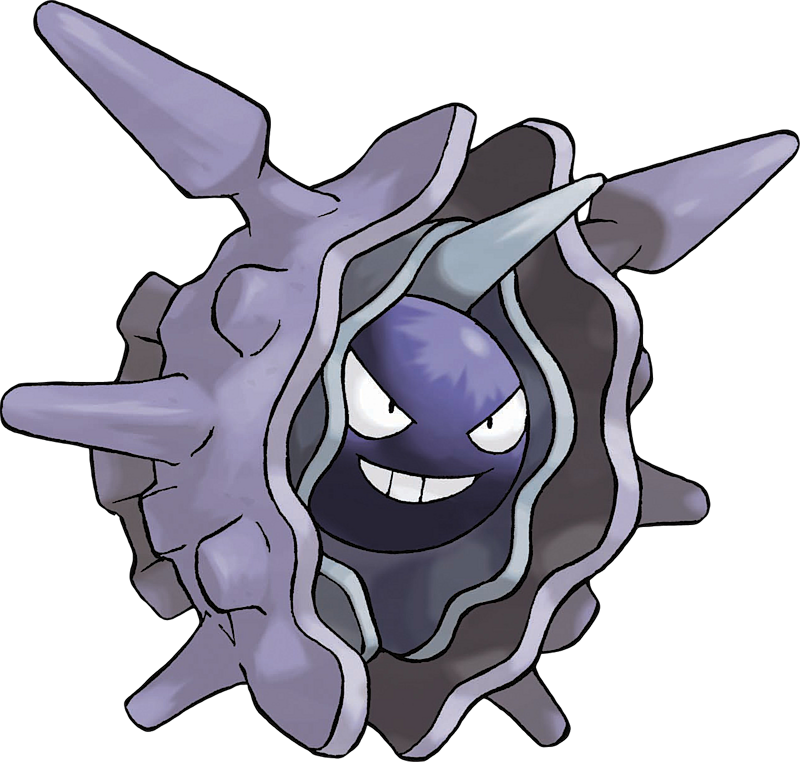 The Cloyster shoots spikes from its shell using the same system. It fights by keeping its shell tightly shut for protection and by shooting spikes to repel foes. Excavation of the tombs of ancient hunting tribes has turned up many spears tipped with spikes that had fallen off this Pokémon's shell. Moves marked with a superscript game abbreviation can only be bred onto Cloyster in that game. 51%-100% HP My shell can't be broken no matter what attack is thrown! 26%-50% HP Trouble... My health is half gone. Level up My level went up! Hit me with any weapon! For other sprites and images, please see Cloyster images on the Bulbagarden Archives. Cloyster is tied with Mega Slowbro for the highest base Defense stat of all Water-type Pokémon. Cloyster and its pre-evolution share their category name with Clamperl. 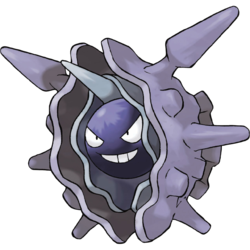 They are all known as the Bivalve Pokémon. It appears to be based on a bivalve of the genus Spondylus with a black pearl as its head. Cloyster may be a combination of clam and oyster. It may also be a play on cloister (to seclude or shelter oneself). Parshen may be a combination of パール pearl and シェル shell. Cantonese Chinese 鐵甲貝 Titgaapbui Means "Armored shell"
Mandarin Chinese 鐵甲貝 / 铁甲贝 Tiějiǎbèi Means "Armored shell"